Please note: This is not a list of records for sale but a growing reference area for Decca SXL issues. Some of the most sought after stereo recordings of all time are featured on the Decca label from the late 1950s through to the present day. Issue dates appear at the end of each issue where researched so far. These LPs/albums are available as high quality second hand editions for the discerning collector. However, some pressings are very desirable indeed so please be prepared to pay a significant sum in order to purchase. This listing is incomplete so if you are able to add additional details we would be pleased to hear from you. One of the objectives of this site is to help create owners attempting to create typed listings. With any luck, by just typing the SXL ref. a more complete listing can be generated without retyping all the record details! 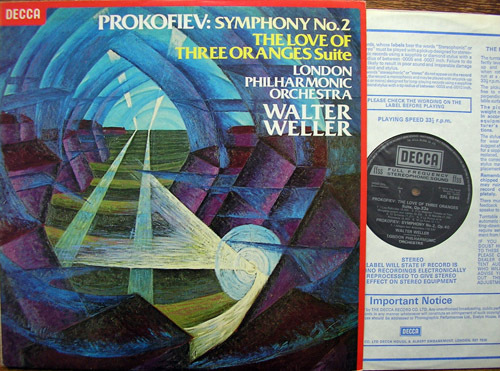 The dates featured on these entries are primarily the year in which The Gramophone magazine reviewed the initial issue. Please note that Wide Band labelling was discontinued after SXL 6445 inclusive. We are grateful to Jeff Spall and many others who have contributed information to help compile this page. SXL 2010, Beethoven Piano Concerto No. 4. Vienna Philharmonic Orchestra. Wilhelm Backhaus. Hans Schmidt-Isserstedt. 1958. SXL 2013, Brahms Symphony No. 1. Vienna Philharmonic Orchestra. Kubelik. 1958. SXL 2019, Vivaldi, Four Seasons, Stuttgart Chamber Orchestra. Krotzinger. Munchinger. 1958. SXL 2020, Rimsky Korsakov: Capriccio Espagnole. Granados, Danza Espagnole. Chabrier, Espana! Grooved label, original recording is at 10'oclock on the label. Mint edition worth in excess of £100, March 2003. SXL 2083: 'Italy' - Italian Songs performed by Guiseppe di Stefano, with orchestra conducted by Dino Oliveri. SXL 2100 Leimer Piano Concerto No.4, Kurt Leimer/Piano, Vienna Philharmonic Orchestra conducted by Robert Wagner. SXL 2107-8, Tchaikovsky, Swan Lake, Ansermet, Gatefold. May also available as WB boxed set with booket. SXL 2111. Opera Excerpts. Guisseppe di Stefano, tenor. Santa Cecilia, Zurich Tonhalle, Patane. Giodano, Puccini, Massenet, Bizet, Gounod. Example sold on Ebay, Nov 2001. Vendor described as "Wide Band Grooved Label. Mega Rare Item. 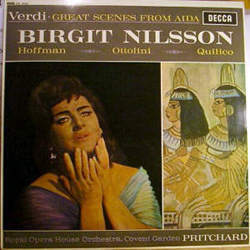 Both the record and jacket are in excellent condition" Sold for £409.00 (US$615.00). Illustrated below. SXL 2160-2162 Tchaikovsky, Sleeping Beauty, Orchestre de la Suisse Romande, Ansermet. 1959. SXL 2174, Suppe, Overtures. Light Cavalry, Poet and Peasant, Pique Dame, Morning Noon and Night. Vienna Philharmonic Orchestra, Solti, 1959. 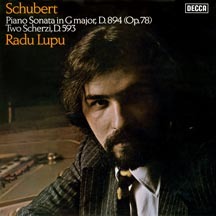 SXL 2175, Puccini, Turandot, Tebaldi, Del Monaco Etc. SXL 2178 Beethoven Piano Concertos Nos.1 and 2. Wilhelm Backhaus, Vienna Philharmonic Orchestra. Hans Schmidt-Isserstedt. SXL 2192 Boito, Mefistofele, Tebaldi, Del Monaco, Siepi, St Cecilia Academy Rome, Serafin. SXL 2194, Paganini. 24 Caprices. Ruggiero Ricci. 1960. 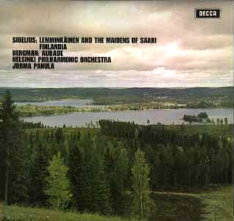 SXL 2197 Bizet-Sarasate, Carmen Fantasy, Sarasate Zigeunerweisen, Saint-Saens Havanaise/Introduction & Rondo Capriccioso, Ruggiero Ricci, London Symphony Orchestra, Pierino Gamba. SXL 2215-2217 Mozart, Magic Flute, Berger, Vienna Philharmonic Orchestra, Karl Bohm. SXL 2220 Mozart, Jupiter and Haffner Symphonies. Isreal Philharmonic Orchestra, Josef Jrips. SXL 2239 All-time Popular Favourites, Tchaikovsky The Nutcracker Suite, Op.71a, Schubert; arr. Weninger March Militaire, Weber; orch. Berlioz, Invitation to the waltz (cello solo: Emanuel Brabec), Nicolai, The Merry Wives of Windsor Overture, Vienna Philharmonic Orchestra, Hans Knapperbusch. SXL 2260, Falla, El Amor Brujo, El Retablo de Maese Pedro, Marina de Gabarain, Raimundo Torres, Carlos Munguia, Julita Bermejo. 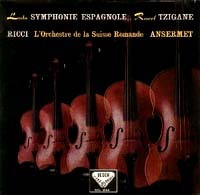 L'Orchestre de la Suisse Romande, Ernest Ansermet. National Orchestra of Spain, Ataulfo Argenta. SXL 2285, Tchaikovsky, Swan Lake Highlights, Concergebouw Orchestra, Fistoulari, 1961. SXL 6002 Adolphe Adam, Giselle. Vienna Philharmonic Orchestra. Herbert von Karajan. SXL 6015-6016. 6 Johann Strauss: Die Fledermaus (boxed set) Vienna Philharmonic Orchestra. Herbert von Karajan. SXL 6017 Francesco Cilea. Adrqaina Lecouvreur (excerpts) Accademia di Santa Cecilia; Franco Capuana. 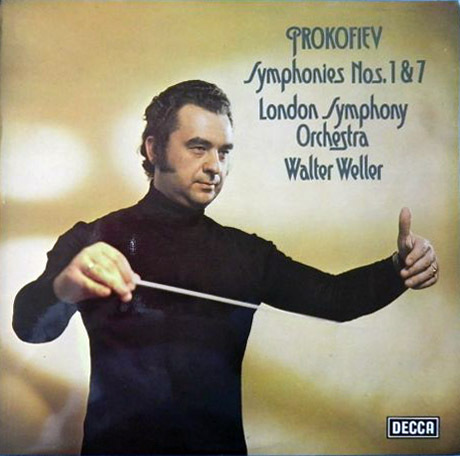 SXL 6257, Dvorak, Symphony No 4 & Nature's Realm Overture, London Symphony Orchestra, Kertesz. SXL 6527, Scriabin, Prometheus, Piano Concerto, Ashkenazy, London Philharmonic, Maazel. Ulex Xane, Melbourne, Australia, comments: "Really very good - a nice, light lyric soprano with a distinct tone and personality." SXL 6649, Vocal, Arias, Pavarotti. Various accompaniments. SXL 6760, Beethoven Symphonies 1 in C, Op.21 and 8 in F, Op.93. Chicago Symphony Orchestra, Sir Georg Solti. SXL 6762, Beethoven, Symphony No 5, Sir Georg Solti. 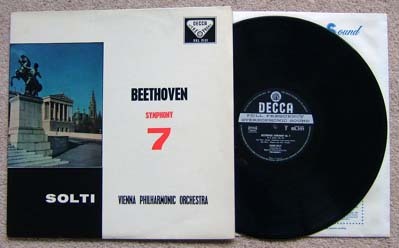 SXL 6763, Beethoven, Symphony No 6, Sir Georg Solti. SXL 6878 Kodaly. Hymn of Zrinyi, Psalm 114. Benjamin Luxon, Baritone. SXL 6893, Britten, String Quartets Nos 2 & 3, Amadeus Quartet. SXL 6933, Mozart, Allelujah (Exsultate Jubilate); Two Concert Arias; Die Zauberflöte; Il Re Pastore; Le Nozze di Figaro. Joan Sutherland. National Philharmonic Orchestra. Richard Bonynge. SXL 6956 Falla, El Sombrero De Tres picos, Rimsky Korsakov Capriccio Espagnol. Los Angeles Philharmonic Orchestra. SXL 7008, Saint-Saens, Piano Concerto No.2, Op.22 / Piano Concerto No.4, Op.44. Roge, Pascal / Royal Philharmonic Orchestra. Charles Dutoit. SXL 7013 Pavarotti "Mattinata" Philharmonia Orchestra, Piero Gamba. Recorded 1977/1982.